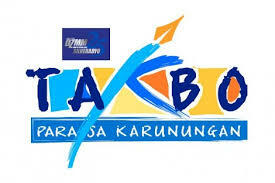 ABS-CBN anchors Karen Davila, Gerry Baja, Winnie Cordero, Gretchen Fullido, and Kim Atienza who serves as ambassador will lead the 3rd “DZMM Takbo Para sa Karunungan,” which takes place on March 23 (Saturday), 4 AM at the Quirino Grandstand. They will join thousands of participants in the fun run that seeks to fund the scholarship of the AM radio station’s 75 scholars, 25 of which are from the Sendong-hit Cagayan de Oro and 50 from Metro Manila who were affected by the Habagat and typhoon Ondoy. Aside from the rewarding involvement in the DZMM campaign, the top runners will also receive cash prizes in the 3 km, 5 km, 10 km, and 21 km race categories and participating largest government organizations, non-government organizations, and school contingents. The better future of the scholars lies in your feet. To register, visit www.dzmm.com.ph or call the secretariat at 4152272 local 5674 and 5641.